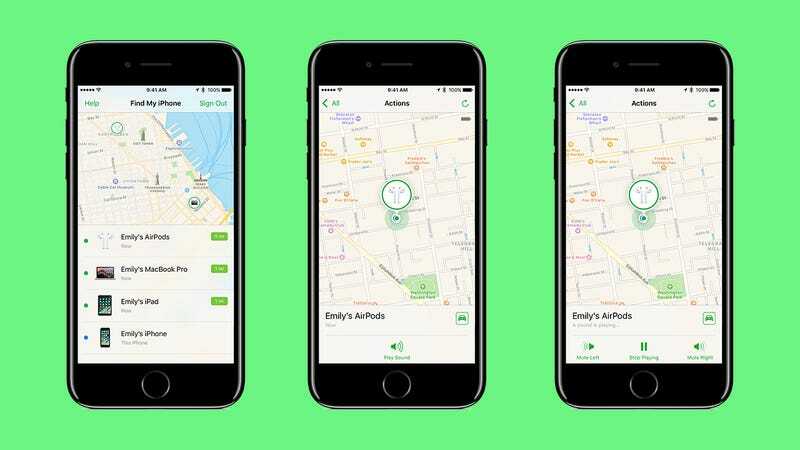 The feature is integrated into the Find My iPhone app, and for now it’s only unofficially nicknamed “Find my AirPods.” It will help you find misplaced AirPods within Bluetooth range of any of your iOS devices signed into iCloud. The ease of losing the AirPods has been a major concern since the buds were first announced last fall, and for the last few weeks, Apple dropped a couple of hints that some kind of “Find my AirPods” feature might be on the way. Although the reason behind removing the app was a little shaky, at least Apple is now giving us a reason to stop worrying about the $70 cost of replacing a lost earphone. Thanks, Apple, for stepping on the little guy for the betterment of everyone.